The fig tree, Ficus Carica, is a deciduous, tree or large shrub, with three or five lobed leaves, native to the Middle East. Later cultivated from Afghanistan to Portugal, in the 15th century was introduced and grown in Northern Europe and The New World. Figs are one of the first plants cultivated by humans for edible consumption. Fossils dating as far back as 9400-9200BC were found in the Jordan Valley just 13km north of Jericho. Middle Eastern countries to this day are the largest fig producers. The flower of the fig is invisible as it is grown inside and each fig variety has a certain type of fig wasp which pollinates it. Read about the fertilized female wasp entering the fig and about the entire pollination process under ecology here. Mission figs are one of the highest plant sources of calcium and fiber. In a dried form, figs are rich in fiber, copper, magnesium, potassium and vitamin K. Figs are rich in antioxidants and have laxative effects. Figs are significant in many cultures and widely depicted in art. One of the more well known passages from Genesis is when Adam and Eve ate from the forbidden fruit "and the eyes of them both were opened and they knew that they were naked; and they sewed fig-leaves together, and made themselves girdles." Another quote is from the book of Kings I "Each man under his own vine and fig tree" which often describes times of peace and prosperity. Buddha achieved enlightenment under a sacred fig tree (ficus Religiosa or Pipal). The Indian fig tree, Ficus Benghalensis, or Banyan tree, is India's national tree. Many idioms based on the figs anatomy and characteristics are commonplace in India. The fig is also mentioned in The New Testament and The Qur'an, was important in Roman diet and appears in Greek mythology. The fig symbolizing femininity widely appears in many writings and art throughout the centuries. I am co-hosting October #figlove bloghop. Please check out all the fantastic fig recipes in this series linked below and feel free to add your October fig recipes to the link throughout this month. Special thanks goes to T.R. @ No One Likes Crumbley Cookies | @TRCrumbley. Sauté onions, garlic, ginger and pepper on low/medium heat while occasionally stirring until onions are soft but not caramelized. Add the figs and continue sautéing for a few minutes longer. Add the sugar, vinegars, salt, lemon and thyme and cook on low/medium, on a low bubble, while occasionally stirring, for approximately 20-30 minutes or until mixture is slightly thickened. Gorgeous chutney! A perfect use for figs. I'd love to serve this with appetizers! Stunning pictures Shulie. This chutney is really helpful for people who are anemic. Very rich in iron! though i never tasted it :) it looks yum. yum. A wonderful chutney! Perfect with cheese. i loved figs i love chutneys should i even say anything more?? U just made me drooolllll shulie! I never read so much about the history of figs. So interesting. I´m just mad about them, fresh or dried, baked or cooked, I could eat them every day. This chutney is fantastic Shulie! The color, just gorgeous! 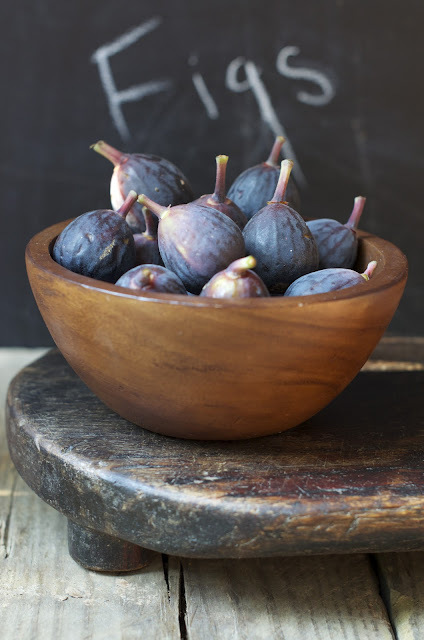 Wow - love love the history lesson on figs - they have become one of my favorite foods in recent years. Your photos are gorgeous and chutney looks divine. Happy #figlove! Mmmmmm... laxative effects. :-) In all seriousness, this chutney looks fantastic. Beautiful recipe, and it just dawns on me about "fig" leaves for Adam and Eve. As much as I've read that passage, I didn't think about them eating figs. I learned so much about figs, that I didn't know. Thanks for history lesson. Your fig chutney is gorgeous. thanks for sharing. Sending lots of #figlove your way! It looks wonderful and sounds FANTASTIC ! 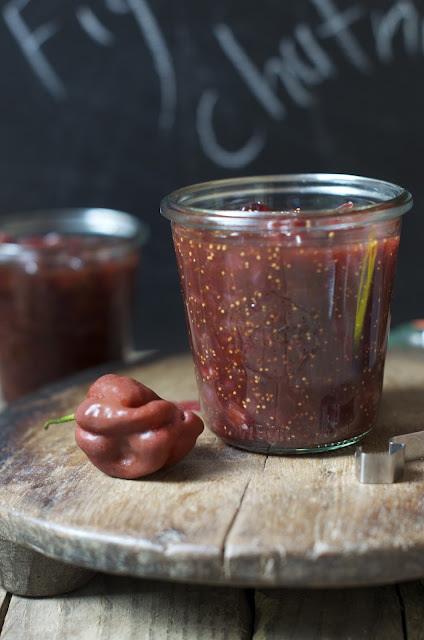 I love fig chutneys - and yours looks wonderful with the garlic, ginger and habanero dancing together with the figs. I saw fig trees just growing wild in Italy along side the road, which was just amazing to me. Sending you lots of #figlove this month! Lovely post Shulie and gorgeous photos! I especially loved reading about the history of figs. Your chuntney sounds delicious and I imagine will be quite tasty on your sandwich tonight. Sending you tons of #figlove this month! I always tend to eat figs in sweet preparations but now will have to try this spicy chutney as well! We had a dwarf fig tree when I was growing up and just today, a friend gave me a few fresh figs from her father's fig tree. What a long history figs have. Your fig chutney sounds and looks amazing! Your pictures are just gorgeous! And your recipe sounds amazing, I love chutneys. I absolutely love your photos! Thank you for sharing these with #figlove! Love this; I just bought a tray of figs and needed some inspiration. Chutney it is! Mm.. I have a feeling that it tastes heavenly! no, I didn't know that the Banyan tree is a fig tree, thats an amazing discovery! Somehow the banyan trees here don't have fruits here, or maybe because I never made the connection I hadn't seen any fruits. What a fascinating plant all in all, the pollination is very interesting as well and so unique. Thanks for teaching me so many new facts about a fruit that I barely knew. Red wine and balsamic vinegar... I need to try your recipe! Yes, you could do one or the other. I don't know what came over me?! :) I used both. Initially to maintain the fruit's flavor and color as the balsamic, although, it compliments it well, it makes it more robust and deeper in color. If I had only red wine vinegar or say cider vinegar it would be completely different color and flavor. You can switch around to your liking. Also you can add mustard seeds, cinnamon stick and alike for more spices, Indian flavor. Though in that case I would not add the thyme. What a glorious chutney! I first had fresh figs two years ago and I've never been the same since. Thank you for sharing another delightful post and recipe. I hope you have a wonderful week, full of good food and laughter. 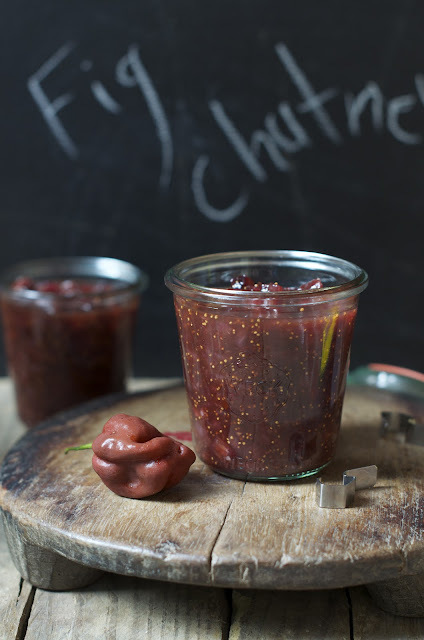 Great minds do think alike :-D I love your twist on this chutney, lots of flavors brought out. Great info on the fig too! I adore figs and anything made of figs. This chutney looks beautiful. I love the rich flavorful color. Your photo styling looks so cute!! We use fresh and dried figs in a sweet our chutney in Rajasthan..wine, red onion, thyme are giving a new dimension to the fig chutney here! Lovely clicks, Shulie. TY Sanjeeta, I use chutney her as a blanket term for jam, relish and such. Yep dried fruit is usually added though I like the purity of seasonal ingredients. Though I must say either way it is delicious! :) I got super authentic chutneys on Foodwanderings and some fusion. See my note above. I always add red onion to my cooked chutneys. My mom btw never made fig chutney while we were growing up. She adjusted to six kids likes and dislikes:). My mom has a beautiful fig tree, and up until a few years ago I would turn my nose up at figs. I learned how wonderful they are now though and I'm taking every one she will give up. Love the idea of this chutney!!! I saw these pictures on Google+ and immediately went to the market looking for plump figs. Sad to say, haven't found any plump ones yet.. the California figs are too dwarfed! 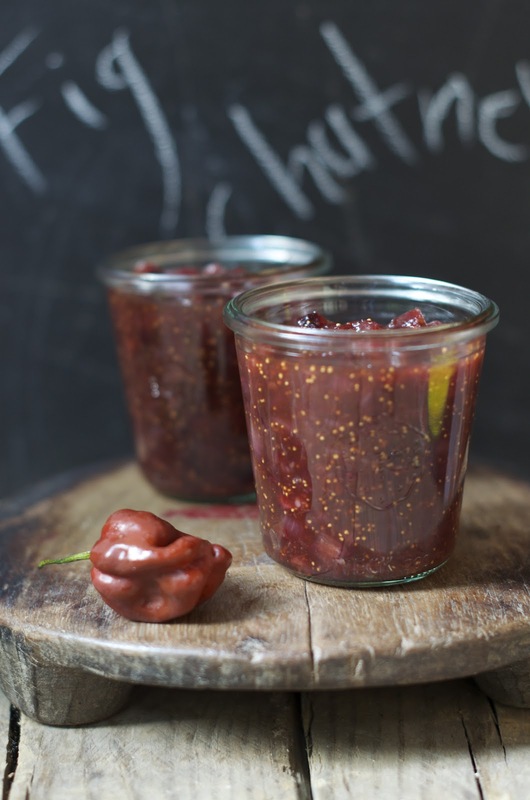 This chutney recipe looks and sounds amazing! And that hot chocolate pepper is beautiful.. I have never come across one of those before! Yes, I came across this pepper at the farmer's market. It has more of a smokey flavor to it than the regular habanero. Apparently it is not same family as the habanero. I was researching and was overwhelmed with the information out there. Yet to sort it out. Apparently a chocolate habanero pepper also exists. The color of this chutney is beautiful, and even that is an understatement. I have a fig tree, but it's still trying to grow up :) ... it only gave me 4 figs this season. I planted it about 6 months ago so I have to wait a while. TY everyone for your lovely comments and dropping by @kim-livlife of course it's precious as gold, take any your mom is willing to give up. Best directly off the tree. @kateDiethood TY Aww precious first figs. Six months ago it is still young in time with love, sunshine and establishing itself the tree will bear many fruits! So exciting! I love figs - fun to read all about them! I also love chutneys, I will be trying this one for sure! Love the new banner!and that fig chutney?! So good! Τhіѕ articlе offerѕ clear ideа for the new users of blogging, that truly how tο do blogging. site by асcident (stumbleupon). I've saved it for later! knοw how tο keep a readeг entertained. Useful info. Lucκy me I found your sitе bу асcident, and I'm stunned why this coincidence did not took place in advance! I bookmarked it.